Are you looking for Java Developers Job in Pune? Recently Bitwise Solutions Pvt Ltd has announced the walk in drive in Pune. Want to know walk-in details, date, time and venue? Read more complete walk-in details below. 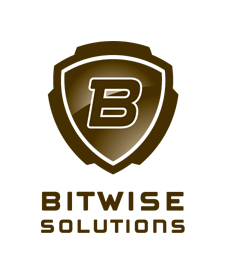 BitWise is a growing Global Consulting and IT services group with companies in US, Australia and India. We consult and deliver solutions in domains such as Banking, Credit Cards, Financial Services, Insurance, Healthcare and Media. Our clients are mostly Fortune 500 companies and include 5 of the top 50. Our business model is unique in that we are not just India centric but instead believe in true global resourcing, resulting in far greater opportunities for our people to travel and live abroad. Speed, Expertise, Flexibility and Commitment have always been the core attributes of professionals at BitWise working on a variety of Web, Client Server and Mainframe platforms.We believe that a motivated and professional team of consultants together with an involved and employee friendly management are the key assets that enable us to meet and exceed customer expectations.